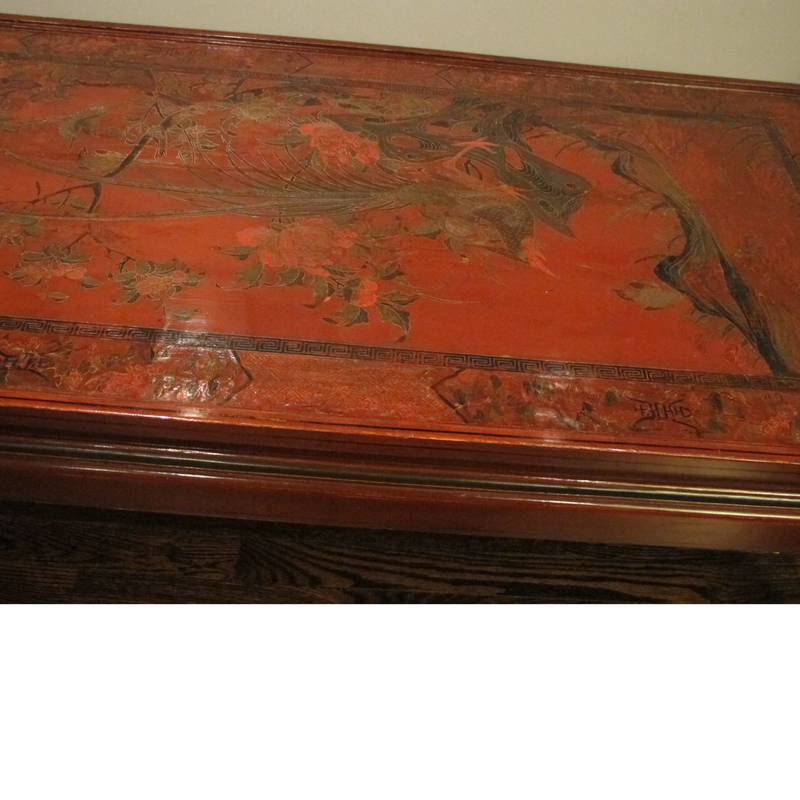 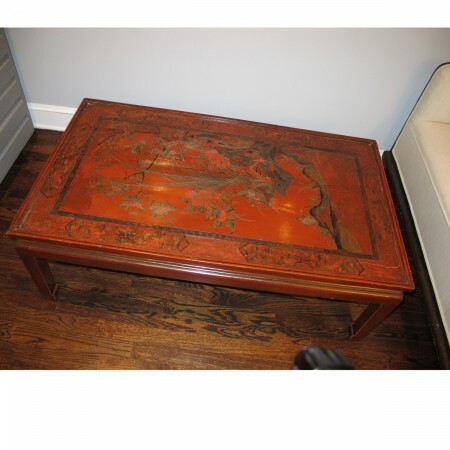 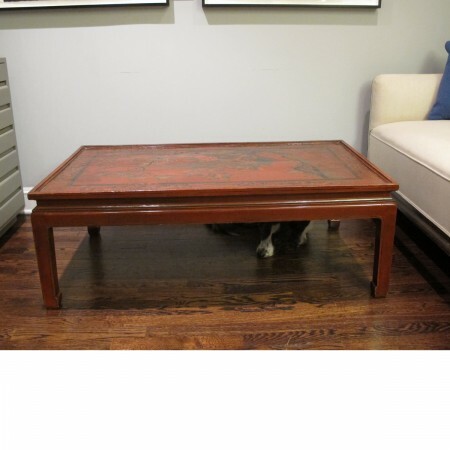 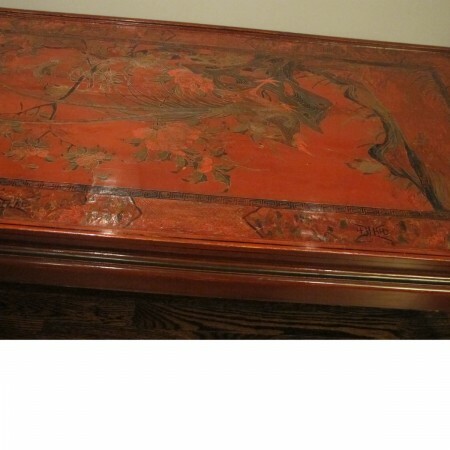 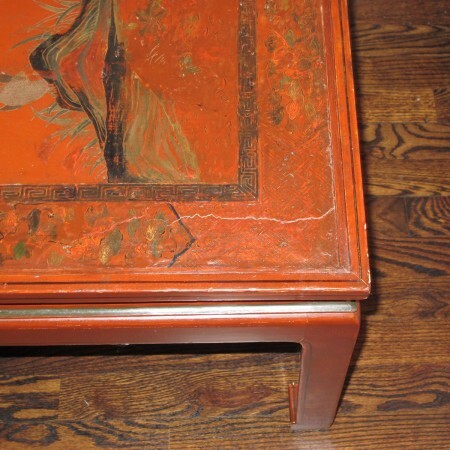 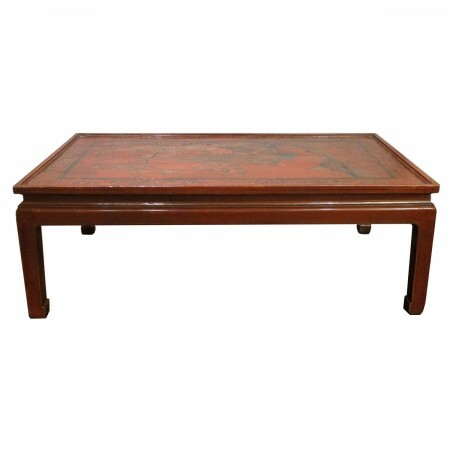 Large hand-carved and lacquered red Chinese cocktail table with decorative top featuring shallow carving in gesso with black and gilt painting. 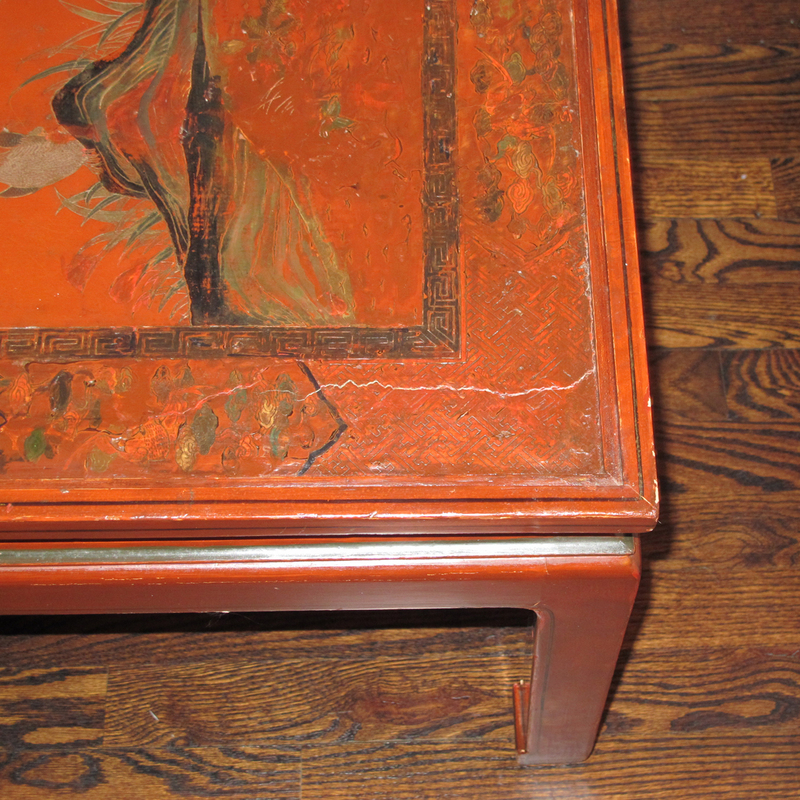 Table has been lightly restored to retain patina. 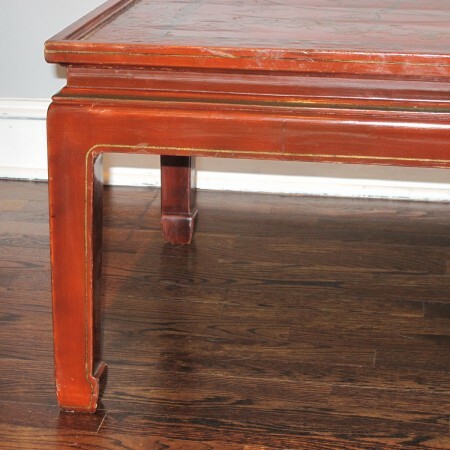 Finish is stabilized and the table is very sturdy.